Europe, at the centre of the innovations of the world, discovered three new drinks, stimulants, and tonics: coffee, tea, and chocolate. All three came from abroad: coffee was Arab (originally Ethiopian); tea, Chinese; chocolate, Mexican. Starting point for a literary history of Vietnamese in the U.S.
What did the first waves of Vietnamese refugees in America think about themselves? What was their mindset regarding their place in the world? Is it possible to write a coherent literary history of their experience? The search for answers can take different directions and have different starting points. 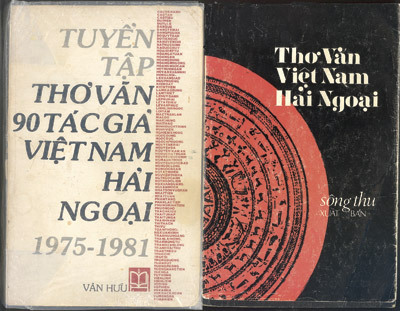 In my opinion, it isn’t a bad idea to begin with a collection of poetry, essays, memoirs, and fiction entitled Tuyển Tập Thơ Văn 90 Tác Giả Việt Nam Hải Ngoại 1975-1981: Selected Poetry and Prose from Ninety Vietnamese Writers Abroad, 1975-1981 (Missouri City, TX: Văn Hữu, 1982). KEEP READING!